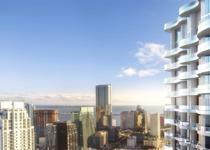 SLS LUX is an ultra-luxury condominium located just steps away from upcoming Brickell City Centre, Miami’s newest and most extravagant shopping and lifestyle destination. 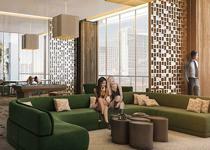 The building thus offers its residents ultimate access to an oasis of exclusive privileges. With an array of fine finishes preselected by Yabu Pushelberg to choose from, your residence will be a unique reflection of your personal style. With on-demand hospitality services from SLS LUX, your new home will be also the most elegant place to entertain without lifting a finger. Residences delivered fully finished with several choices of imported porcelain tile flooring preselected by award-winning interior design firm Yabu Pushelberg. Stunning views of Biscayne Bay and the Miami skyline. Private vestibules in all residences. Spacious and fully finished walk-in closets in all master bedrooms. Capacious terraces with glass and aluminum railings directly accessible from living areas and bedrooms of every residence through floor-to-ceiling sliding glass doors. Wraparound terraces in all corner units. 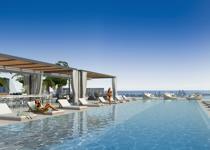 Exclusive collection of 12 penthouse residences with 12-foot ceilings; some with private rooftop pools and outdoor spas. Contemporary Italian kitchen cabinets by Italkraft. Several choices of cabinet finishes and stone countertops preselected by Yabu Pushelberg (optional full backsplashes). Top-of-the-line stainless-steel appliance package includes integrated paneled 36” Subzero refrigerator/ freezer, Wolf drawer microwave, Wolf silent dishwasher, Wolf built-in convection oven, and ceramic glass stovetop. Stainless-steel under-mount oversized zero-radius square-edge sink with single lever European-style pullout faucet sprayer. Premium European cabinetry with designer details, imported stone vanity tops and full-size mirrors designed by Yabu Pushelberg. Double designer vessel bowl lavatories in master baths in select residences. Elongated water closets. Spacious spa tubs and frameless glass-enclosed showers in master baths in select residences. Imported porcelain flooring, base, and walls in wet areas. Designer faucets. Powder rooms in select residences. Residences are pre-wired for high-speed communications, multiple telephone lines, and cable. The latest in “smart building” technology features a custom SLS LUX app, linking residents to SLS Brickell professional concierge services and building amenities. Home automation systems. Two self-parking spaces are available for most residences. Elegant private elevators with biometric technology.